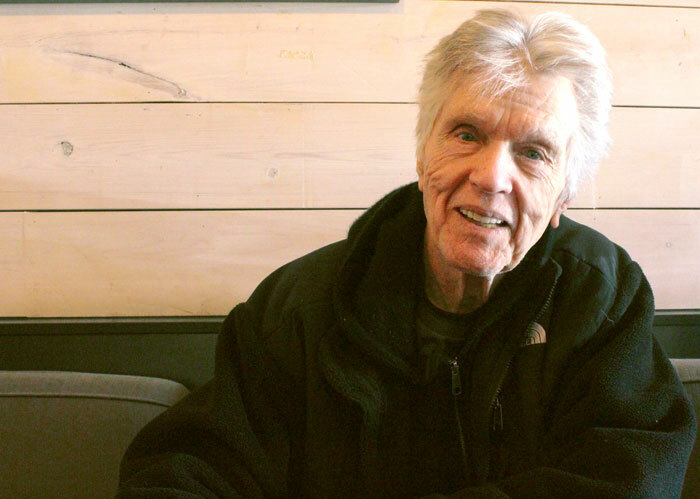 Photo by Brandon Macz: Actor, director and writer Tom Skerritt launched his Heyou Media company two years ago to tell good stories through mobile and online content. But America has lost its imagination, he says, and that has meant many great stories just aren’t being told. Skerritt started Heyou Media here in Seattle to change that, using the Pacific Northwest as not only a backdrop for those stories, but also for its wealth of talented writers and actors. The digital media company is focused on new content distribution systems, offering mobile, online and multiplatform digital entertainment. Skerritt says he really didn’t see the potential until around three years ago, his film and television career spanning five decades. When he founded Heyou Media two years ago, he already had stories he wanted to tell. “This is the new distribution,” Skerritt said. Skerritt grew up in Detroit, and he was an English major at UCLA. His film debut was in “War Hunt” in 1962, a low-budget production that cast him alongside Robert Redford and Sydney Pollack. Since then he has performed in more than 200 films and television series, including “Picket Fences,” for which he won an Emmy in 1993 for Outstanding Lead Actor in a Drama Series. Skerritt has lived in Madison Park for the past three decades, sharing a home with his wife Julie Tokashiki and their daughter, Emi. The 85-year-old actor, director and writer came out to the Pacific Northwest in the early ‘70s to visit his brother, who was living in Kirkland. He remembers ducking into a Seattle cafe where they were playing the jazz he likes. “I just saw this as a John Coltrane town,” he says. It was filled with good people. Skerritt has been nurturing and molding local talent through TheFilmSchool nonprofit he co-founded in Seattle 18 years ago, which focuses on the art of storytelling. And the life he’s made here has also provided him with inspiration for original content he’s making through Heyou Media. “Stroller Gangs” came out on Amazon Prime in 2017, and had been in the works for five years. The episodes are about 13 minutes long, and most are based on real stories he’s heard from the stroller moms he’s encountered. It’s the kind of video-on-demand and episodic content people will see through Heyou Features, one of three products Skerritt’s company introduced in early 2018. Skerritt is also tapping into the Pacific Northwest’s fount of talented novelists and the worlds they’ve created. Heyou Media announced pre-production of several new products in September, including “Your Move,” a series written by Skerritt that involves playing serious chess with a New Jersey mobster, and “East of the Mountains,” a feature based on Bainbridge Island author David Guterson’s 1998 novel about a terminally ill man who takes a road trip with plans of committing suicide and is affected by his experiences with the people he meets along the way. Skerritt is excited about one of his latest projects, a new series called “Turbo Dates,” which he’s putting together with screenwriter Terry Rossio and his Chameleon Productions company. He describes it as funny little match-ups, the kind of comedy that happens when people try to set their friends up. Skerritt is also having fun reimagining underused and underappreciated silent films, cutting them and shaping them to fit short series, but with updated musical scores and captions. In Charlie Chaplin’s “1 AM” film, for example, a voice bubble has him saying, “God bless Uber. I will give you 5 stars.” Of course, the film predates ride-hailing apps by about a century. Beaming, Skerritt says those reimagined classics have 32 million viewers worldwide. Heyou Media is also having fun with virtual reality, says Skerritt, and working on an episodic series that requires the use of 36 cameras and shooting scenes about a dozen times from so many angles. This type of product doesn’t work unless the viewer feels a sense of participation, he says. Skerritt says he also has a second season of “Stroller Gangs” ready to go. The trick with making Heyou Media and this new distribution system work is perfecting a new business model and acquiring the needed financial and advertising support. It’s a new model, and proof of concept is important in attracting the right investors. Skerritt says he sees a wealth of talented writers in the Seattle area and great storytellers coming out of TheFilmSchool. Heyou Media exists to let them realize those stories through a responsible business model, and a media company far removed from Hollywood’s focus on summer blockbusters made by time-tested filmmakers. While the actor has had a prolific career in film and television, he says he’s not interested in standing out in a crowd. He also says he has little interest in comparing what he’s doing now with his past projects, nor does he focus on what others think. Check out new content at heyoumedia.com.